To co-incide with the introduction of the ‘sugar tax’, Public Health England (PHE) has released new figures on the shocking number of childrens’ teeth extracted. They have found that that 39,010 teeth were taken out because of decay in 2016-17, equivalent to 141 every working day. Just over half were in children aged five to nine but 7,530 were in under-fives. The Oral Health Foundation, is calling for urgent action to address the continued increase in the number of children having their teeth extracted in hospitals throughout England. Speaking about these shocking numbers, Nigel Carter, CEO of the Foundation, said: "These figures, which demonstrate a continued growth in childhood tooth extractions, are far beyond what anybody should deem acceptable. The pain and distress caused to the children undergoing these operations, some of whom have barely reached their first birthday, is absolutely heart-breaking and must be addressed urgently. But the BDA has categorised the response from authorities in England to this data as 'second rate' and called for a national effort capable of delivering transformative improvements in children's oral health. Henrik Overgaard-Nielsen, the British Dental Association's chair of General Dental Practice said: "In the face of a tooth decay epidemic the official response remains woefully inadequate. To date not a single child has seen any benefit from the government’s unfunded and unambitious plans to act on decay. These figures underline the need for concerted national action." With the government’s Soft Drinks Industry Levy coming into effect, PHE’s Change4Life campaign is reminding parents that sugary drinks – including juice drinks, energy drinks, cola and other fizzy drinks – are one of the main sources of sugar in children’s diets. Swap sugary drinks for lower or no sugar alternatives, including water and lower fat milks. The Change4Life website has plenty of easy drink swaps and helpful tips for families. Ensure children brush twice a day with fluoride toothpaste (once before bedtime and once during the day) and remind them to ‘spit not rinse’, as rinsing washes away the protective fluoride. Brushing should start as soon as the first tooth appears and children should be supervised up to the age of seven. Taking these steps can lead to fewer days off school and fewer trips to the dentist, although children should go as often as their dentist recommends. 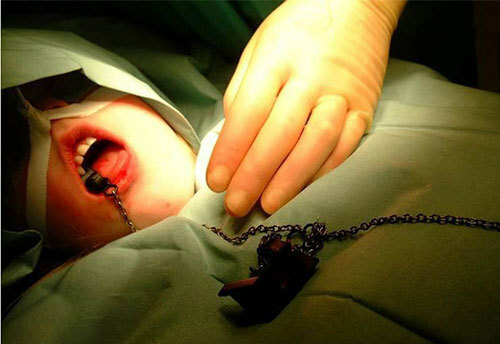 It would be interesting to know how many extractions are carried out for children in non-hospital settings. For some reason, only those procedures carried out in a hospital (presumably under GA) are of importance to PHE.